Description - Our Practice Dance Tile kits are designed to fit your practice space. 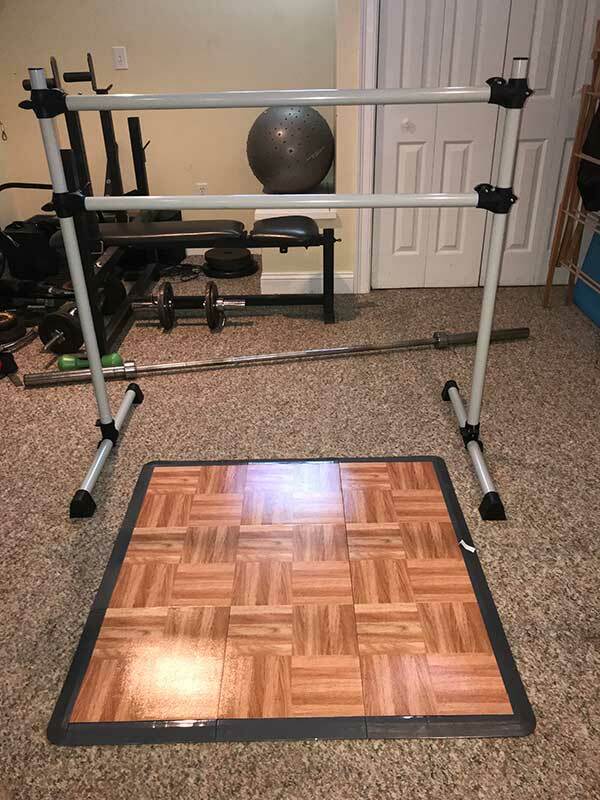 Available in multiple sizes, complete with edging, this portable dance flooring can be easily assembled and disassembled for multiple uses. Whether practicing beginners ballet, line dancing, or for use as event flooring, you are sure to find what you are looking for with our Practice Dance Tile Kits. 3' x 3' Kit - Contains 9 tiles, 4 female edge pieces, 4 male edge pieces, 2 female corners and 2 male corners. Tile Size - 12" x 12"
Recommended Uses - Our Practice Dance Tile Kits are the perfect low cost and portable dance flooring. 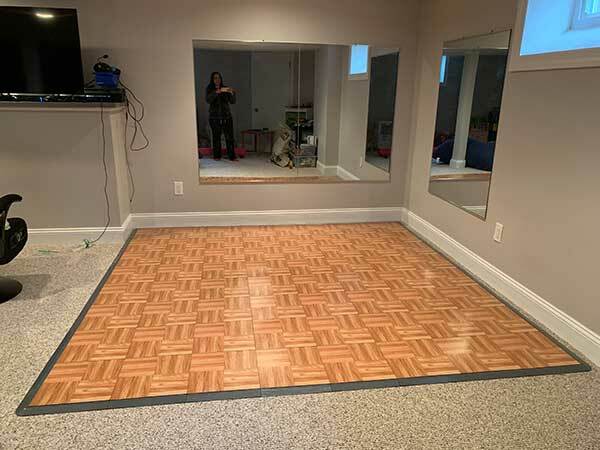 Portable dance flooring is perfect for use as event floors, as well as in the home practice for various dance styles, including tap, youth ballet, two stepping, and more. Low cost portable dance floor. Kits include tiles and edging. Simple to install and disassemble. Great for tap, two stepping, ballet, and more. Great as a gift or for personal use in the home. Can be used as portable event flooring. How rigid are the individual tiles? Do they flex or are they rigid? does the 3x3 mat pack (9), come complete with edges and corners pre- assembled? These do not come pre-assembled. My daughter loves her new dance floor! It was easy to put together and it is very high quality product! This dance floor has been great for my daughter to practice in the basement. It was easy to snap the tiles together but probably took a little more effort on carpet than it would have on a hard surface. 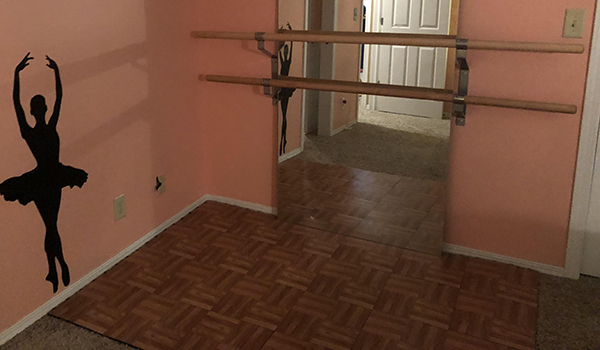 It is installed over carpet and provides a great, springy surface for her to practice leaps and turns. It is great for most dance forms but is too slippery for tap. I bought a 4x4 area for my daughter as a Christmas gift. Looking forward to setting it up for her Christmas Eve night when she is asleep! To anyone wondering - yes, buy the tiles.